Ultimate Poker's legal online betting foray could be a game changer in the U.S.
At 11:58 p.m. Las Vegas time on Tuesday, the millionth hand of legal, secure online poker was dealt at UltimatePoker.com, a company that is fully owned and operated inside the United States of America. It took just a little more than two weeks (the site launched on April 30) to ring up that number, a sign of both the intense demand and breathtaking potential of internet gaming. It also represents the latest stage in the fast-moving battle for legalized online gambling of all sorts – including, eventually, sports wagering – that offers the most significant potential change in the way Americans consume sports. That’s gambling’s forever political pitch – jobs and taxes. “Who is against jobs and taxes?” Breitling noted. Of course, this being America and this being the confused morass of gambling legislation, there is always someone against something. Breitling is right about the lost decade though. Poker saw an unexpected surge in popularity and participation over the last 10 years, with viewers tuning into televised coverage and players flocking to online sites that offered a stream of available games from the comfort of their homes. The problem was the playing part was illegal – the sites coming from offshore companies that eventually closed up after a crackdown by the U.S. government. A drunk could still wager money on mindless games such as keno or scratch tickets while sitting in a bar but a mathematician couldn’t play a game of skill such as poker from the sanctity of his or her own home. 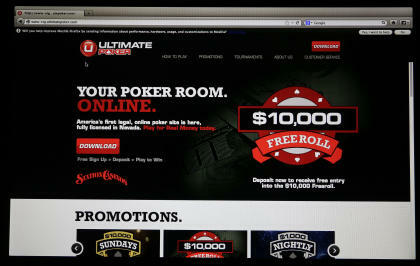 Ultimate Poker can only accept players from within the state of Nevada, so participation is still limited. It was a groundbreaking moment, though, because it represented the first fully legal online game in the United States. The player’s money is safe and legally earned. The website, in turn, protects the public with what it calls an extensive identity verification system that is designed to stop players under the age of 21 from participating. Revenue on all sides, player winnings and the house cut, is subject to taxation. It’s a win-win-win for all sides, certainly better than money headed to the Caribbean. This is just the first website to offer legal poker in America. By the end of the year, there could be a half-dozen more just for Nevada. From there, who knows? Some states, such as New Jersey and Pennsylvania, are pushing for full casino action online. A half-dozen other states – including big markets such as California, New York and Texas – could go with just legal poker. Either way, there could be a flood of action into the market soon. The money is just laying there, for both casino operators and governments eager for additional revenue. Like most floodgates, it just needed a few early drips to get going. Poker can lead to full casinos. In Nevada, at least, it feels like the days after prohibition, with everyone jockeying for what might come. 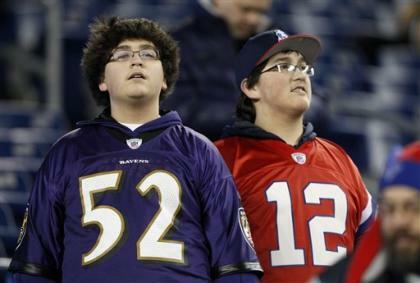 How soon until you can legally slap down a bet online on the NFL? If not everywhere, then at least in Nevada where sports wagering is legal? And if New Jersey wins a current lawsuit against the United States over the right to offer full-scale sports wagering, then that could blow it all open too, allowing players to legally bet via their smart phone from inside stadiums. You don’t have to live in Nevada or have any interest in playing online poker or even support any of this to acknowledge that this latest development feels like the start of something significant, the first days of a bold new future. No more offshore companies pulling money out of the country? No more organized crime using sports bets to fund narcotics and human trafficking and who knows what else? This may have been just the start, but it’s a start toward progress. Jobs and taxes and a brand new day in America’s confusing relationship with gambling.